Analysis of Sky’s October viewing figures reveals that Karl Pilkington, The Moaning of Life, is Sky 1 HD’s biggest show of the year so far. The series launched with a total audience of nearly 2.5 million, with around 200,000 watching through Sky Go. Writing in the Sky Views blog, Stuart Murphy, Director, Entertainment Channels, said the figures illustrated how much Sky customers love the freedom to watch must-see TV on the move. Murphy said that Dracula had also been a big hit for the broadcaster. “It launched on Sky Living HD with over 1.8 million total views in its first week, making it the second most popular show in October,” he wrote, adding that Anglo-French crime drama The Tunnel was also a big hit with Sky customers, with over 1.5 million viewers catching the series’ launch episode, making it the fifth most popular show in October. In addition, more than 100,000 downloaded the opening episode of The Tunnel to their Sky+HD box, with a further 100,000 watching on the move with its mobile TV service Sky Go. “I love doing co-productions – means we get to pair up with incredible broadcasters across the world, like Canal Plus and NBC, and realise a vision for shows which increasingly is bigger than what people get on Free TV,” he stated. Murphy said that as with September, it was great to see the top three shows (Karl Pilkington, The Moaning of Life, Dracula and comedy sports quiz A League of Their Own) were all home-grown Sky programmes, demonstrating customers were really enjoying the broadcaster’s increased investment in original content. 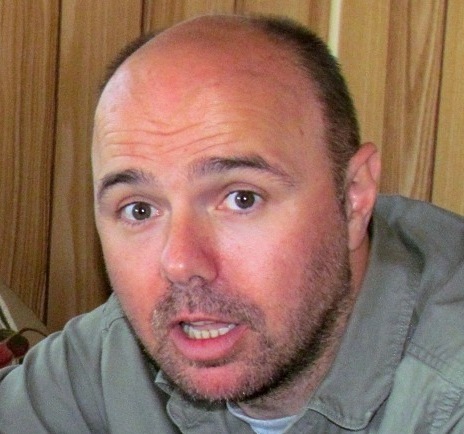 BSkyB revealed early November that Karl Pilkington. The Moaning of Life, had become the biggest home-grown show on Sky 1 so far in 2013, as well as generating record On Demand and Sky Go viewing figures. Looking at total viewing during the seven days following the series première, more than 2.5 million people watched the first episode via the linear schedule (in other words, either live or as a Sky+ recording). On top of this, the show also smashed On Demand and Sky Go viewing records. At the time, the show had been downloaded more 100,000 times via Sky’s On Demand service and there were also just under 100,000 views through Sky Go, via laptop, mobile or tablet devices.